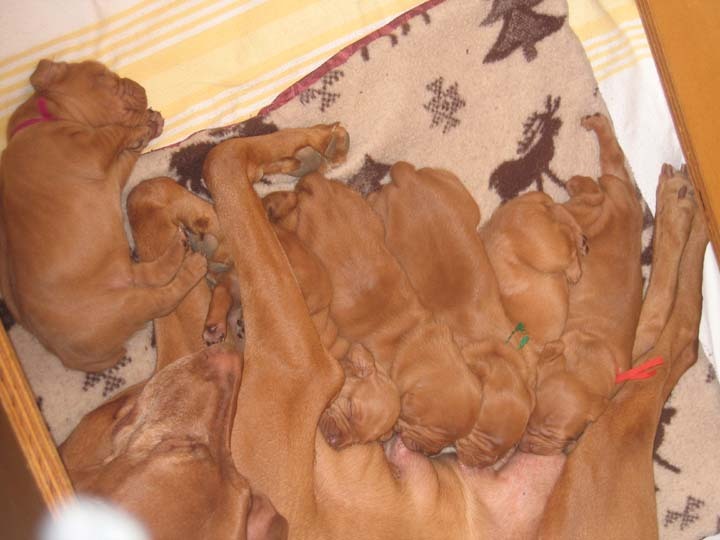 From our "D" litter produced by Lily and Red, we decided to do a co-ownership so that we could work with one of these beautiful pups. She was a beautiful little girl with lots of substance and great angulation. 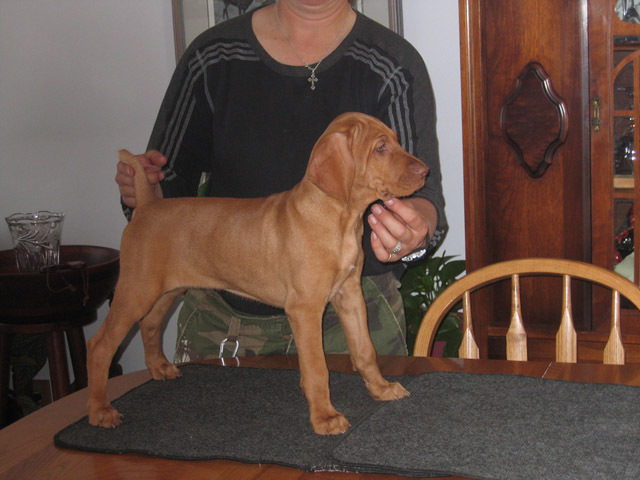 Puppy testing showed her to be medium energy, perfect for the home she was going to. 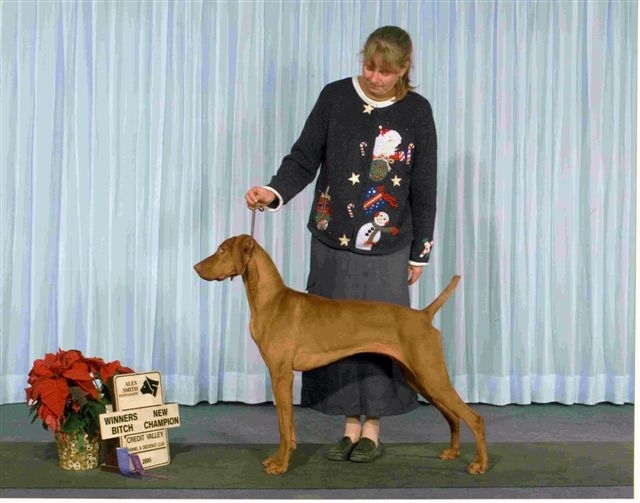 With limited showing starting at 6 months,Emma finished her Championship before 10 months. She is a replica of her momma Lil, very elegant looking. Also like Lil, Emma does not care for mud puddles or getting dirty - a real little lady. Liz trained and finished her FDJr title, but since neither Suzanne or Jeff are interested in hunting, we will go no further. Suzanne teaches obedience classes and Emma will be her demo dog. Emma's health checks will be completed before Christmas and we are looking at a mating between she and our Romeo in Feb 08. In the photos above, Emma is shown during puppy testing in a stack and as a New Champion in Dec/06 at the Credit Valley Show. 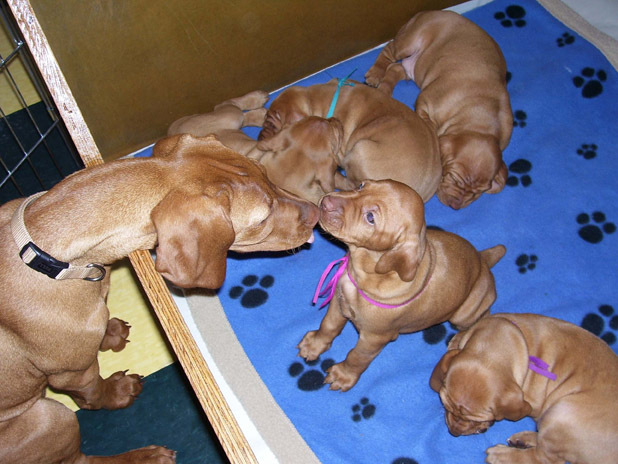 Below are some shots of her with litter mates and momma, the second one is being kissed by Stella.